The gynecologist will talk to you, listen to complaints, collect information about the disease. The doctor will palpate the mammary glands and conduct a special examination on a gynecological chair with an increased level of comfort (made in Finland). The doctor uses a one-time set, the cost of which is included in the consultation. If necessary, the gynecologist will offer to conduct a cytological and colposcopic examination of the cervix, analysis of vaginal secretions, PPP-test. These analyzes are not included in the cost of the consultation. The doctor establishes a preliminary diagnosis, issues an advisory opinion, a treatment regimen and, if necessary, recommendations for additional examinations. I have been visiting Dr. Orlova for a very long time. I came to this doctor by chance. She is very attentive. Always, if I was bothered by some kind of pain, and before the analyzes results, the doctor had prescribed me treatment in order to make my life easier. I want to thank you very much. I have not met such doctors before. I received more than expected. 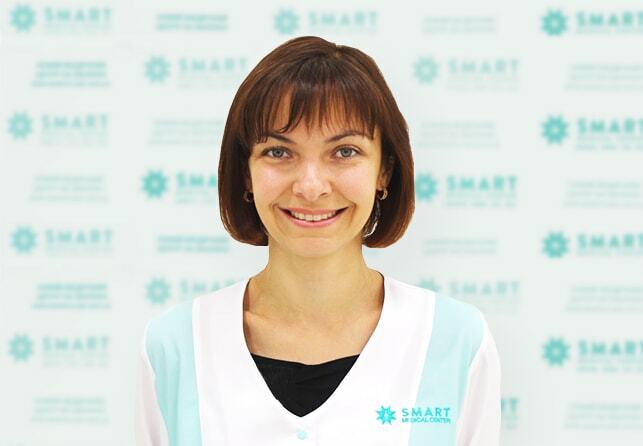 Thanks to the management of the clinic for highly qualified personnel and especially for the approach of the gynecologist Dr. Sharhorodska. I liked this clinic. I made an appointment with a gynecologist Dr. Myroshnychenko. She is a very pleasant, attentive woman, professional. Prices are good, everything is clean. When should I contact a gynecologist? Gynecology studies the female reproductive system examines the general health of a woman. Some diseases develop in the first stages without symptoms. An examination will help to avoid or find out the diseases before their manifestations. a sharp decrease or increase in weight. for the selection of contraception, hormone therapy, and treatment of menopausal disorders. Minska Station, 19 Tymoshenko Str. Confirm you are not a robot: = ?